Consolidation Loans – Could They Be Your Secret Sauce? HomeBlog Debt ConsolidationConsolidation Loans – Could They Be Your Secret Sauce? Everyone has debts. Being in debt has become as American as apple pie and hot dogs. I read the other day that even people with credit scores in the 800s are carrying an average of $8,500 in debts. For that matter, the average American has more than $6000 just in credit card debt. And if you add up all debts – including medical debts and personal loans, it turns out that American families have debts averaging more than $15,000. I remember from my college days the poet Omar Khayyam’s advice to, “Ah, take the cash and let the credit go, nor heed the rumble of a distant drum.” When you stop think about it, this advice is as good today as it was those several thousand years ago. We would all be better off if we paid cash for our purchases instead of using credit cards. Or barring that, we should all use our credit cards responsibly. Unfortunately, some people just cannot use credit responsibly or they might be in trouble with debt through no fault of their own. Millions of people lost their jobs as a result of the Great Recession and many of them are still either unemployed or underemployed and have been forced into heavy debt just to stay afloat. If you’re heavily in debt and being carpet bombed by debt collectors, a consolidation loan could be your secret sauce for making them go away and for getting your life. For that matter, a consolidation loan could be a good idea even if you’re not being hassled by debt collectors. A consolidation loan can be a simple and easy way to get your credit card debt under control. If you can get a loan big enough to pay off all your credit card debts, all your creditors will instantly vanish just as if you had waved a magic wand. Instead of having to make payments to multiple lenders – probably at high interest rates – a consolidation loan means you’ll have to write only one check a month. If you’re paying outrageously high interest rates such as 18%, 20% or more, you should be really happy to hear that debt consolidation loans generally have interest rates of 5% or even less. In fact, all told, you should end up with a much lower monthly payment than the total of the payments you’re currently making each month. How good would that feel? Like many things in life, debt consolidation loans come with a downside. It will most likely be a second mortgage on your house or a loan called a homeowner’s equity line of credit (HELOC). No matter which of these you choose, you will be putting your house at risk because you could lose it should you default on the loan. It will probably take you seven to 10 years to pay back a consolidation loan, which is definitely a long-term commitment. It’s also a time during which you will have to be very careful to not take on any new revolving credit. 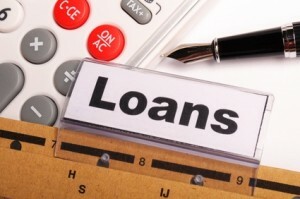 Consolidation loans do have their advantages. However, they are not an ultimate solution. Someone far smarter than me once pointed out that, “you can’t borrow yourself out of debt.” In other words, a consolidation loan doesn’t eliminate your debt. It just moves it from your credit card providers to a bank or credit union. If you owed $19,000 in credit card debt and you get a consolidation loan, you’ll still owe $19,000. However, it is possible to negotiate your way out of debt. Our debt counselors have excellent relationships with the credit card and personal loan companies and typically negotiate settlements for our clients that save them thousands of dollars. Just as important, they have helped them become debt-free much faster than with a debt consolidation loan.